I've had the same problem awhile ago with another hud, the solution below should fix it. ninjajiroHow do I move the paint icon down? [quote=ninjajiro]How do I move the paint icon down? ninjajiro ninjajiroHow do I move the paint icon down? [quote=ninjajiro][quote=ninjajiro]How do I move the paint icon down? Hergan ninjajiro ninjajiroHow do I move the paint icon down? [quote=Hergan][quote=ninjajiro][quote=ninjajiro]How do I move the paint icon down? KhanTF2 Hergan ninjajiro ninjajiroHow do I move the paint icon down? [quote=KhanTF2][quote=Hergan][quote=ninjajiro][quote=ninjajiro]How do I move the paint icon down? "fillcolor"		"10 10 10 153"
Doesn't seem to work, help ? "fillcolor"	"10 10 10 153"
The first number is the start time and the second is the duration, so you've got it set up as starting while the first animation is only halfway done. Doens't work, I think it's not possible, due to the fact that there is no variable for fillcolor. You could also try changing from bgcolor as the variable to fgcolor, might work. Thanks anyway You could also try changing from bgcolor as the variable to fgcolor, might work. If you want that to happen, you just create 1 other transparent box with a red color and alpha 0 by default, and when you get overhealed you make the alpha of this box 255 and the alpha of the grey box 0. Anyone know why this happens and how I can fix this? Anyone know why[url=http://imgur.com/1O2F9uq] this[/url] happens and how I can fix this? ninjajiroAnyone know why this happens and how I can fix this? [quote=ninjajiro]Anyone know why[url=http://imgur.com/1O2F9uq] this[/url] happens and how I can fix this? How do you change the color of the highlighted page? b4stian ninjajiroAnyone know why this happens and how I can fix this? Thanks in advance! The server disabled voting? Yep, it was the server that disabled it, I went on a valve server to try and vote and it worked fine. [quote=b4stian][quote=ninjajiro]Anyone know why[url=http://imgur.com/1O2F9uq] this[/url] happens and how I can fix this? On the other hand, can anyone help me with this? 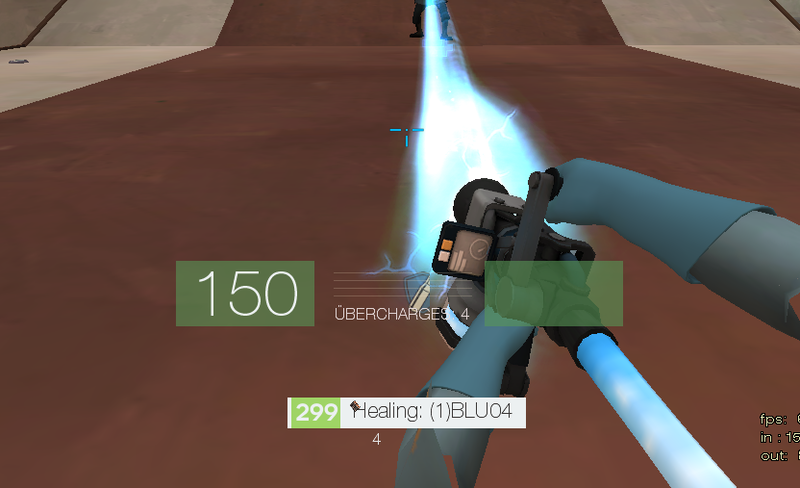 It blocks demoman charge, metal, ubercharge, everything with a number. But I'm using the same hud as STAR_, and as you can see in this video: https://www.youtube.com/watch?v=8vedY6lv7U8 at 1:14, the bison's energy is not blocked. On the other hand, can anyone help me with [url=http://imgur.com/RZE2osQ]this[/url]? Doesn't seem to work, help ? If you want that to happen, you just create 1 other transparent box with a red color and alpha 0 by default, and when you get overhealed you make the alpha of this box 255 and the alpha of the grey box 0. I'll try like you said ! Thanks ! oooo that worked, thanks a ton :D. I changed that entire section (Orange, OrangeDim, LightOrange, GoalOrange, TFOrange) to white and it also changed the HudHintKeyDisplay as well. How would I go about adding the broeselhud 6s scoreboard into pikles hud? Is it just a copy pasta or am I missing something? Trying to move the smallresisticon, found a thread which had solution however some clipping has occurred when I tried to move it. Does anyone know the location to the file which controls the resisticons where I can extend the wide value in order to prevent clipping?